Cruise down the inner-city streets of Detroit and your eyes take in an array of familiar images of poverty and decay. 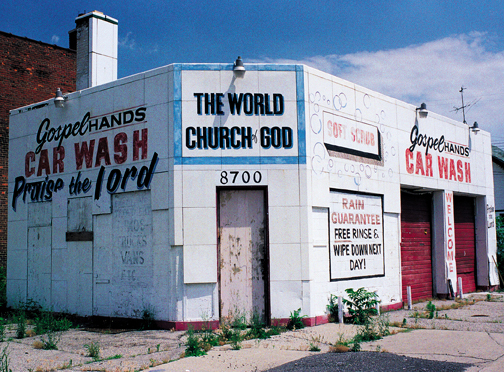 What renowned photographer David Clements sees on these gritty Detroit streets are the ad displays on so many local businesses, including salons, churches, and car washes. 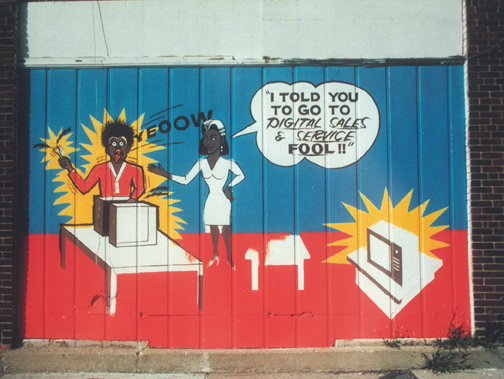 In Talking Shops, Clements captures mural facades that transform what might have been a typical urban landscape into a canvas for some of the city’s most vibrant folk art. With more than 130 full-color photographs, this delightful book uncovers such treasures as the "Mr. Foote Hand Car Wash," and the "Kill Them Dead" roach exterminator. Yet for all their whimsy, these subjects were created by artists who have used brilliant colors, meticulous words, and aggressive messages that seem to talk, if not shout, to passersby. David Clements is a professional producer and director of radio, television, and photography. 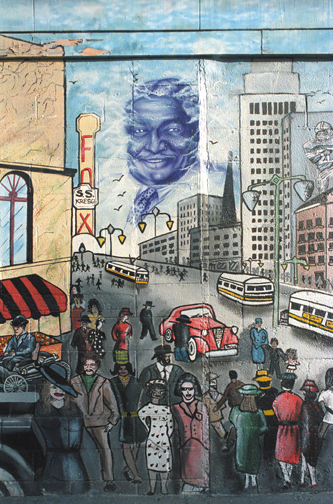 His work also appears in Art in Detroit Public Places (Wayne State University Press, 1999). 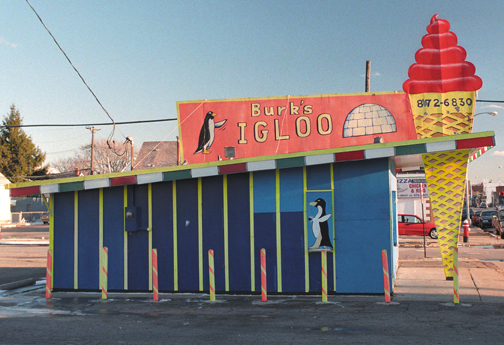 For those who only look to trendy Route 66 for colorful signage, these inner-city advertisements are an intriguing study because they are even more cutting edge in their use of color, imagery, humor and messages. It's difficult to pick out a favorite...Clements urges us all to discover hidden commercial treasures in our own communities,'....enjoy looking around a little more to discover unique slices of life and vitality in your own environment.' That may be so, but I'm still adding Detroit to my travel list. Talking Shops captures not only the artistry of a specific urban region, but the personalities of the people and the community. The photographs pull us into an unseen narrative of the shop owners and their patrons, making us want to look at the images again and again." 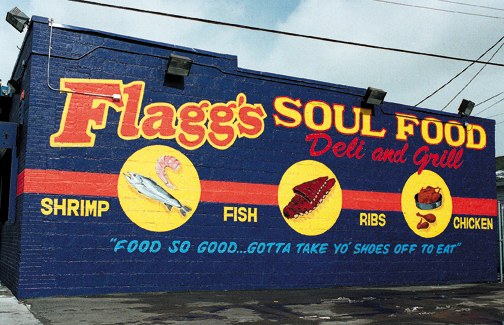 Vibrant signs, murals and more from Detroit streets. Give it to anyone who has all the wrong ideas about our city." 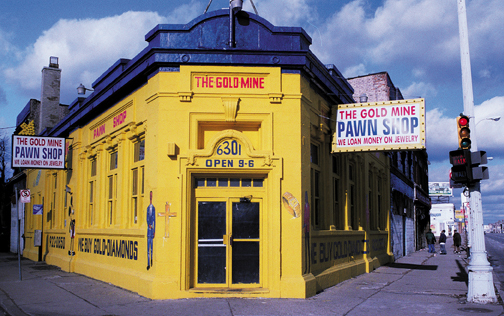 This coffee-table-style book features 130 full-color photographs of original Detroit folk art found on local buildings, in doorways to churches, car washes and more. The book also features a great foreword and afterword by Detroit legends Bill Harris and Jerry Herron." 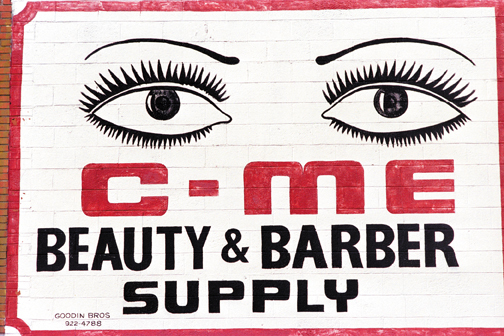 While others might look around the central city and see dirt, decay, and desertion, Clements has eyes for 'outsider' art laced with hot color, brash humor, and high energy on the walls of the city's most modest stores and bars." David Clements' Talking Shops: Detroit Commercial Folk Art, published by Wayne State University Press, is a colorfully illustrated photo book of the city's rusted, wooden and stained signs, perhaps bleeding and bleached in color or intermittently blinking in neon, but vibrant nonetheless as a representation of the city's vernacular history. The publication itself is a work of art that does justice to, but does not overshadow, the art displayed within it as well as the story of Detroit's sociology. David Clements has taken it upon himself to preserve as many examples on film as one talented photographer can, and to press them between the covers of this book. . . . Wisely, he's chosen to limit his perspective to metropolitan Detroit, a community he knows intimately. But even in that he has excepted a challenge, for the Motor City is among America's richest when it comes to folk advertising art. . . . Talking Shops belongs on the coffee table in every living room where the conversation is in danger of losing momentum, and a shelf in every library devoted to photography and the development of the American ideal." Talking Shops is an engaging urban aesthetic applied to hand painted signs of independents owned businesses."